Minimal sightlines with unmatched thermal and aesthetic properties, flood your room with light whilst maintaining year-round comfort. 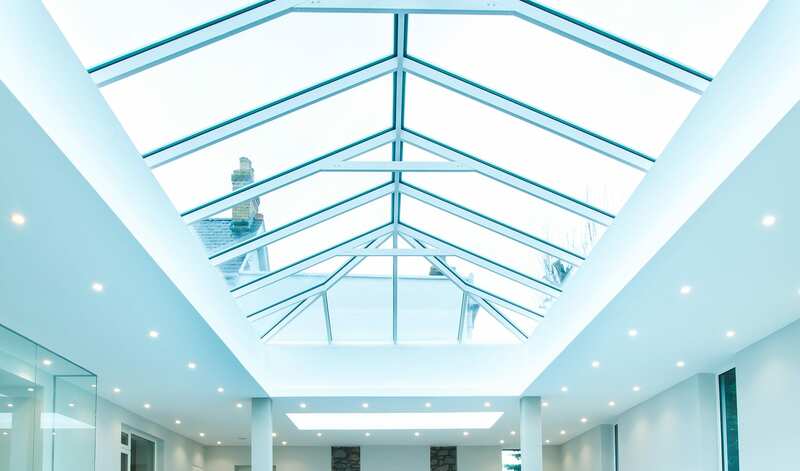 We supply a range of glass roof lanterns and rooflights which are all designed to let natural light flood in from above, suitable for flat roofs. Perfect for creating that ‘architectural feel’ and giving the feeling of extra volume and dimension to any room. Whether you are replacing an existing roof or are in the process of building a new extension, a lantern roof from Affordable is an ideal way to draw more light into your room. Our lanterns offer exceptional benefits, unmatched by any other roof on the market. The internal and external design complements our ranges of aluminium doors and windows. No clunky bars or supports cluttering the ridge. No thick, chunky profiles dominating the glazing. This unique system design is pure engineering magic. Super strong, light, 40mm aluminium box rafters create slim, elegant roof profiles with excellent thermal performance. Compared to conventional roofs sold by competitors, the visible width and sightlines of rafters have been slashed by 30% and the main feature ridge by 70%. This unique design creates a feeling of more sky and less roof – giving you visible elegance to your roof design and appearance. Less is definitely more. The versatility of the aluminium box section rafters and creative design solutions have removed the requirements for outdated bulky hood covers on lantern roofs and Edwardians. 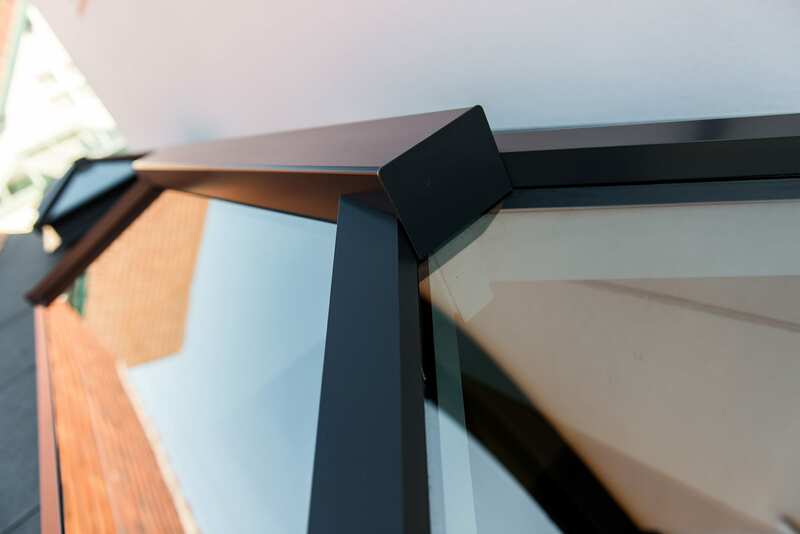 Increased roof strength means the design aesthetics and clear sightlines achievable using the slim Atlas profiles remain unmatched by any other manufacture, creating a roof that can suit any dwelling. Thermal insulation in this roof makes the room comfortable all year round. Compliments our entire Aluminium range perfectly.